Taiwan is in general a very safe place to live and work. Levels of violent crime are low, and incidences of mugging and assault are much lower than in many western countries. Foreign nationals in Taiwan should however beware of getting into altercations with locals in bars and clubs; if a situation turns violent then often what would be a one-on-one situation elsewhere will see a group of locals with baseball bats and no concept of fighting fair. Private ownership of firearms is forbidden in Taiwan, though obviously criminal groups have little problem purchasing them. 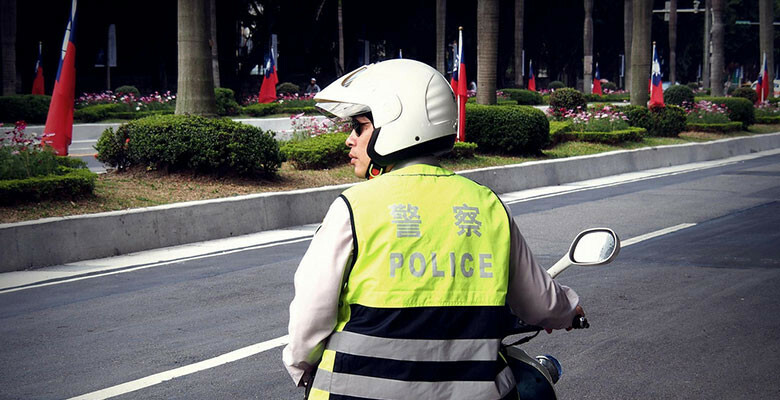 The primary cause of concern regarding personal safety in Taiwan is traffic; as described in the section on transportation above, driving standards are not high, driver education is at best cursory, and drivers often perform manoeuvers that would be considered highly reckless elsewhere. Extra care is needed when out and about on the roads, or when crossing the street. Expect the unexpected. Like much of Asia, Taiwan has a strict policy on narcotics, with so-called “soft drugs” attracting much more stringent punishments than in the West. Being caught in possession of a small amount of pot or failing a drug test is likely to result in a few weeks “detox” (prison in all but name). For serious cases such as smuggling or distribution, prison sentences can be harsh, with one foreign national convicted of dealing recently being given a fifteen-year sentence. The death penalty is still on the books for serious narcotics offences, but has not been used in recent years for drug crimes. It seems however that the strong punishments have not led to an effective deterrent, as both Taiwanese and foreigners continue to be paraded in front of the cameras after periodic busts year after year. Taiwan experiences frequent earthquakes and regular summer typhoons. Most earthquakes are too light or too deep to cause serious problems, but in 1999 the 921 Earthquake killed nearly two and half thousand people and caused extensive damage to the country’s infrastructure. A decade later, Typhoon Morakot brought a record 109.3 inches of rain, causing landslides that killed 650 and wiped the mountain town of Xiaolin off the map. While these catastrophic events are relatively rare, it is worth taking precautions in case of emergencies. These will include registering your presence with your local representative office and keeping bottled water, a flashlight, and other emergency supplies in the home. If heavy rain or a typhoon is forecast, stay away from mountain and coastal areas. Local governments throughout Taiwan will often call a “typhoon day” when one is about to hit, meaning that schools, offices, and public transportation will shut down. These typhoon days are usually announced on TV and radio the night before.